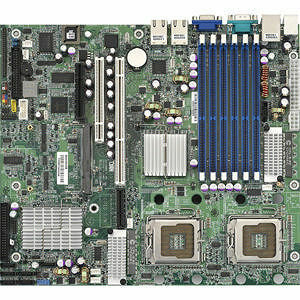 Tempest i5000VS (S5372-LH) Server Board brims with excellent features and capabilities to maximize performance output. The Tempest i5000VS (S5372-LH) supports two quad-core or dual-core Intel Xeon processors. To comply with various applications and objectives, the S5372-LH also accommodates multiple PCI Express/PCI-X expansion slots and a Remote System Management IPMI 2.0, in addition of Tyan Taro card equipped on the SO-DIMM slot.